David De Jesus Rios, a 27-year-old Latino male, died Wednesday, March 20, after being shot in Boyle Heights, according to Los Angeles County Medical Examiner-Coroner's records. 310 N. St. Louise St.
Adolfo Amador, a 14-year-old Latino male, died Thursday, March 14, after being shot in Boyle Heights, according to Los Angeles County Medical Examiner-Coroner's records. 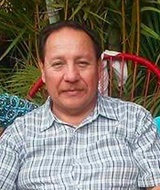 Ruben Richard Vera, a 52-year-old Latino male, died Sunday, Feb. 24, after being stabbed in Boyle Heights, according to Los Angeles County Medical Examiner-Coroner's records. Francisco Ruiz Morones, a 60-year-old white male, died Monday, Jan. 28, after sustaining blunt force trauma in Boyle Heights, according to Los Angeles County Medical Examiner-Coroner's records. Jose Albert Holguin, a 31-year-old Latino male, died Tuesday, Jan. 8, after being shot in Boyle Heights, according to Los Angeles County coroner's records. Juan Francisco Romero Gordillo, a 58-year-old Latino male, died Wednesday, Nov. 7, after being shot in Boyle Heights, according to Los Angeles County coroner's records. Stephanie Marie Rojas, a 37-year-old Latina, was shot and killed Wednesday, Aug. 29, in the 900 block of Euclid Avenue in Boyle Heights, according to Los Angeles County coroner’s records. Coroner's records show that a person driving by found Rojas wounded in the street and called police. About 4:55 a.m., officers responded to a call of a shooting in the area and found Rojas, said Los Angeles police Det. Jose Ramirez. Rojas was pronounced dead at the scene at 5:10 a.m., according to coroner’s records. Detectives said robbery has been ruled out as the motive, as Rojas still had personal belongings on her. Police are looking for witnesses to the shooting. Anyone with information is asked to call Hollenbeck Division detectives at (323) 342-8960. Those who wish to remain anonymous can call Crime Stoppers at (800) 222-8477. Ramon Alejandro Cardona, a 18-year-old Latino male, died Wednesday, Aug. 8, after being shot in Boyle Heights, according to Los Angeles County coroner's records. 1720 E. Cesar E. Chavez Ave.
Omar Magana, a 34-year-old Latino, was shot and killed by Los Angeles Police on Saturday, June 9, in the 1700 block of East Cesar E. Chavez Avenue in Boyle Heights, according to Los Angeles County coroner’s records. Shortly before midnight, gang officers from the Hollenbeck Division arrested Magana on suspicion of robbing a street vendor near North Broadway and Workman Street in Lincoln Heights, according to a news release from the LAPD. Magana was taken to the Hollenbeck station, where he suffered a medical emergency, according to the release. Coroner’s records state that Magana was “faking seizures.” Magana was taken to Adventist Health White Memorial Hospital, police said. Jose Luis Lopez, a 17-year-old Latino male, died Wednesday, June 6, after being shot in Boyle Heights, according to Los Angeles County coroner's records.